By blending traditional and modern financial theories and science, we can help build your wealth while maintaining your current lifestyle. All too often, we see individuals and advisors alike look at asset accumulation in an archaic manner. The traditional wealth management techniques put investments at the forefront of the financial plan. 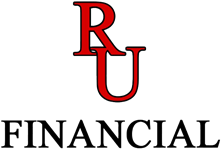 Here at RU Financial, we believe that is letting the tail wag the dog. We take the approach of strategy first and investments second. We need to have a destination in order to know what roads to take and what turns to make on your financial road map. With the “strategy first” approach, we can be the navigator as we join you on your financial journey.